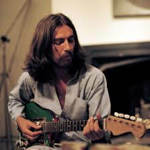 Learn how to play George Harrison – Give Me Love (Give Me Peace On Earth) note-for-note on guitar. Playing Style: Strummed (acoustic part). Picked with a pick (electric part). The first of these preview videos contains the first section taken from the acoustic guitar lesson for the song Give Me Love. The second shows the complete slide guitar intro lesson. The complete song lesson contains lesson videos covering the strummed acoustic part, and the slide intro, solo and outro, broken into separate lesson videos. Each part has a performance play thru video. Of course you’ll also get full tabs and a chords and lyrics sheet. You’ll receive a link to download the lesson which will download as a zip file of 350 Mb approximately containing all the lesson content. I want to learn how to play the Beetles music! !